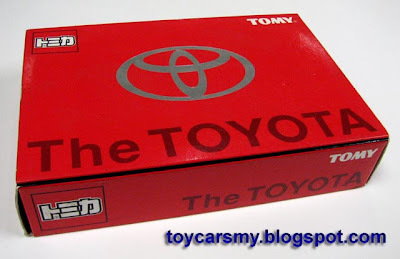 I have no trace of information on this Tomica The Toyota box set I have. 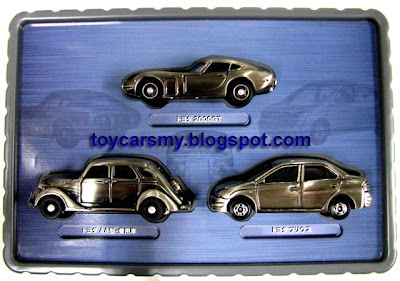 The die cast are specially built in bronze colour, the surface on purpose with sand effect, covered with a layer of clear paint to prevent it from oxidation. 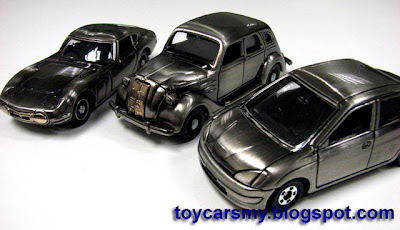 The effect extended to its base, means it the base is metal too. 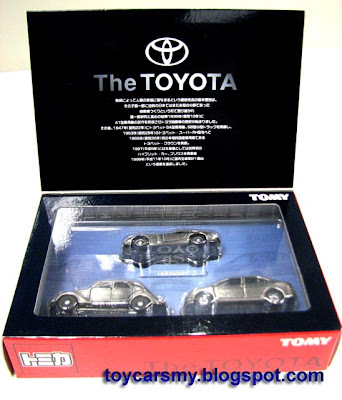 Except the Prius, both 2000GT and Toyoda are equipped with rubber tyres.